Why Do Dieters Gain the Weight Back? We find what works, lose weight, (or release fat as I like to say) and then we stop doing it. I actually do believe in the effectiveness of diets. A diet, in my practice, is a specific program meant to reduce weight or body fat level. Dieting is what I do when I am actively seeking physical change through eating. When my goal is reached, dieting ends, and maintenance begins. What I am trying to teach in my work is that maintenance is simply an enhanced and expanded version of the Diet that enabled you to reach your goal. Too many people completely abandon their effective eating strategy once their goal is reached. Here is where the confusion starts- Fat Loss and Weight loss aren’t the “Lifestyle” that so many people hold as the Holy Grail of Fitness. Maintenance is the lifestyle. Maintenance, and thus the lifestyle, begins when the goal is reached. My secret is to spend some time in maintenance after the achievement of each meaningful goal, experience the peace of stability, and then press on. Very soon, The Sugar Freedom Diet will be available on this website. Tomorrow is the Photo shoot to reveal the evidence that what I did more than five years ago to finally overcome obesity is still working. Here, at Sugar Freedom.com I will answer that question, along with the incredibly important follow up: “What do you eat to keep it off?” Just as important is the awareness that what I choose to eat today doesn’t just satisfy my appetite: It is literally the fuel for my dreams. There are plenty of experts and successful dieters today who will tell you to cut sugar out of your diet inorder to lose weight. With Sugar Freedom, I will do my very best to show you how, with all of the honesty and clarity I can muster. Here is an example. My go to Sugar Strike breakfast is two local, pastured eggs, 2 slices of local uncured bacon, and mixed vegetables sauteed in coconut oil. I like to season my vegetables with turmeric, ginger, and iodized sea salt. I always make extra vegetables to serve with lunch or dinner. This breakfast keeps me full, and full of energy until noon, when I thoroughly enjoy my lunch. Eating Sugar Freedom style helps me find the balance between enjoying my food, and obsessively craving it. Back when I first reached my goal, I hoped that I could find a way to go back to eating the trigger foods I used to crave. Now I understand that that way is closed to me if I want to maintain my weight for good. That’s just fine: It really is because my life is fuller without them. Please leave a comment or question about Sugar Freedom. 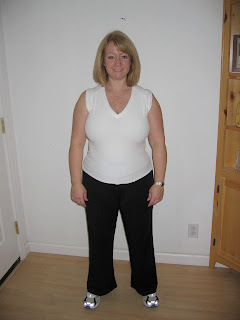 This entry was posted in Tools For Maintenance and tagged Catherine Gordon, Fat Loss, Sugar Addiction, Weight Loss on October 21, 2013 by Catherine Gordon. Some of these statements are simply things I read that were written by nutritional experts. Some were pronounced right to my face. Some led to behavior that hurt me deeply, and all of these statements made me angry. For the past five years, I’ve tried to be reasonable and open minded about eating and training for permanent fat loss. I know that everyone who wants to release fat doesn’t have my specific issues with food, but every time I go back to the sugar and the grains, eating disaster strikes. I have heard from diet experts, most of whom are male and have never had a weight problem, that my problems with sugar and grains come from the very fact that I avoid them and try to restrict them. They claim that the solution is calorie balance, and that I really should cheat regularly to achieve low body fat. They have case studies galore to prove that they are right about this. I have the conviction and wisdom of my own experience, and what I know for sure is that when sugar and grains are out, beauty, freedom, and peace of mind are in for me. 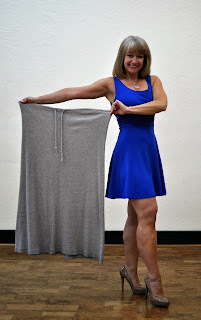 Do you want to know the truth about the before and after pictures you see above? The best body of my life, the body of my dreams, was achieved on a sugar and grain free, high vegetable fiber diet. Now, my eating strategy is politically incorrect because of it allows, even encourages, the consumption of saturated fat. I do my best to eat pastured butter, eggs, meat, and cream in order to get the greatest benefit from these fats, and to avoid the damage that can come from consuming processed fats and the foods that contain them. Believe me, I’m not chowing down on bargain bologna. I am also aware of the fact that a living creature had to give its life every time I eat meat, so I do my best to consume no more than I need to be healthy and feel satisfied. In addition, I consume serious amounts of organic vegetables, especially leafy green ones, and I add low sugar fruits in moderation. In the past, I have kept my nutritional cards close to my chest, but after my last two bread and sugar nightmares, I realize that I have to start telling it like it is if I honestly want to help other people create the figure of their dreams. I am so grateful to the researchers who are studying food addiction right now. Dr. William Davis, Dr. Robert Lustig, and Ashley Gearhardt at Yale University are just a few of the doctors and researchers who are asking why some of us go completely nuts when we eat sugar, flour, and the treats that are made with them. Perhaps the greatest barrier to understanding those of use who experience the pain and fear of food addiction is the fact that we are not in the majority of people who are overweight or obese. The research currently underway at Yale indicates that 15% of the population may be dealing with a drug-like response to sugary foods. In addition, Ms. Gerhardt discovered in her research that you don’t have to be overweight to suffer from food addiction. In my case, I achieved a normal BMI back in 2008, but when I eat sugar or flour, especially with fat mixed in for good measure, madness ensues. I am writing this blog for those of us who want both physical and emotional recovery from sugar addiction. Your story may be very different. If you’ve part of the 85% of the population that can handle eating sugar and grains, you may think I’m a little bit nuts. (Hey, at least I can eat nuts!) But I have to stand up and tell the truth about how I made my transformation stick. In the past, I wanted to be liked, and I was so afraid of negative judgement and comments that I was willing to censor my beliefs. Now I realize that it is time to write this blog for the 15% of people who are like me, and hopefully for the people who love and care for them as well. So welcome to Sugar Freedom: The Journey to Health and Fitness, and the Will and The Skills to Keep It. This entry was posted in Uncategorized on October 18, 2013 by Catherine Gordon.